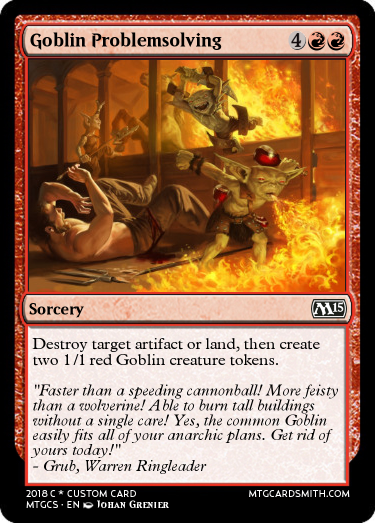 Hello fellow cardsmiths, I want to see what you can come up with as an addition to either of the following commanders' decks. 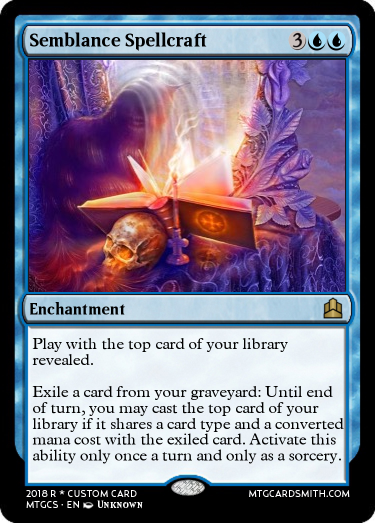 The challenge is there isn't a specific version of the deck you're building for, so you must understand their themes! The due date for this contest is the 5th of September. Late entries won't be accepted since we want to keep our contests/challenges contained to their timeline. 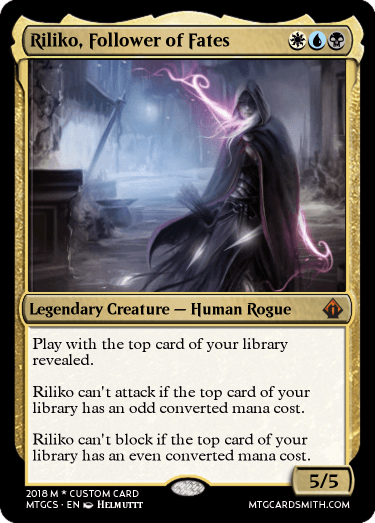 1) The card must fit one of the listed commander decks. 2) You must mention the commander deck the card is for. 3) You may post up to five cards. 6) Cards can't be made before the 24th of August. I may add additional prizes later depending on how things turn out. So keep your eyes on the prize! If you have a commander you like, post it and I may add it to the list. This includes custom commander cards. I think the title is missing a question mark. 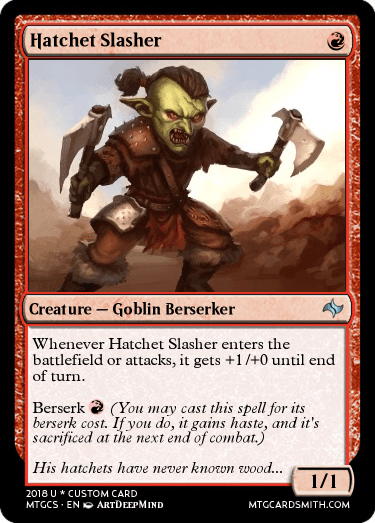 I enjoy playing cEDH, but nothing is quite as fun as casual monored Grenzo. 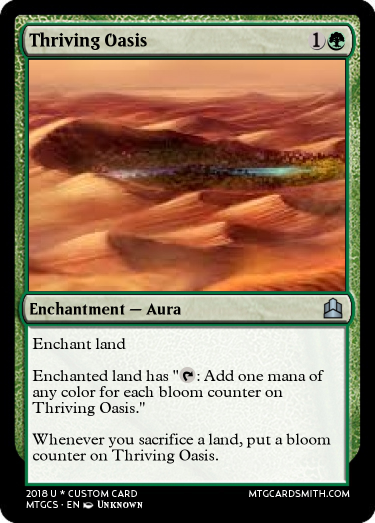 Here is some nice utility for my deck with excellent flavor. 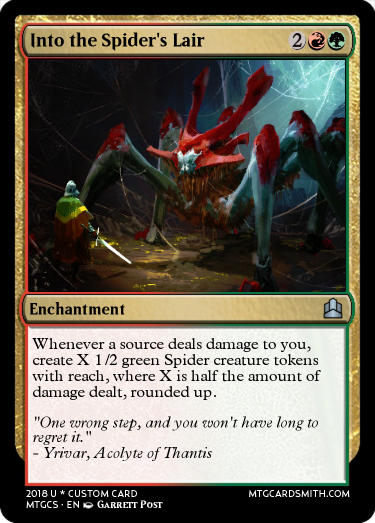 @DoctorFro that spider is wicked I'm currently making adjustments to my green and black spider commander deck to include red so it will become the commander, that card brought so many new options to that build that it couldn't before, I'm actually excited to get it done now. I had also picked up swarm yard for it too for its regenerate ability. Here's one for the Sen Triplets deck. Nice entries so far, everyone. Let's keep them rolling in! We'll also try to make a few honorary entries later, when we lose our art block. I'm adding one more commander to the list, after we posted the last two. Which commander is most preferable? So far, here is what has been requested! @murkletins - Thantis seems interesting. I'll be adding Thantis tomorrow since that seems most popular. Also, I'm extending the due date of this contest tomorrow when I have access to a PC. Nice entries so far everyone. I added Thantis, the Warweaver to the list today. As well as, increased the duration of the contest. Thanks for adding Thantis! Could we also get Nekusaur the Mindrazer? I have a few ideas for a wheel deck. If so that would be great and if not I understand. 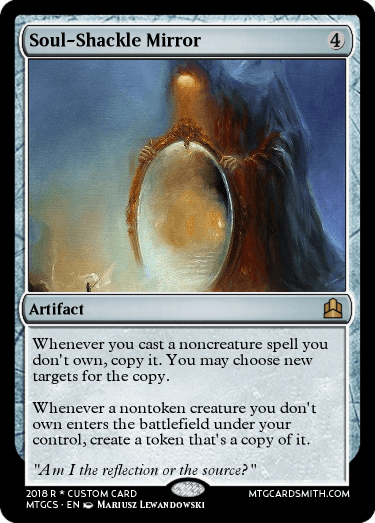 I'm sad to say that I'll have to refuse the Nekusar request, because I feel that wheel decks aren't fun for the other participants often. 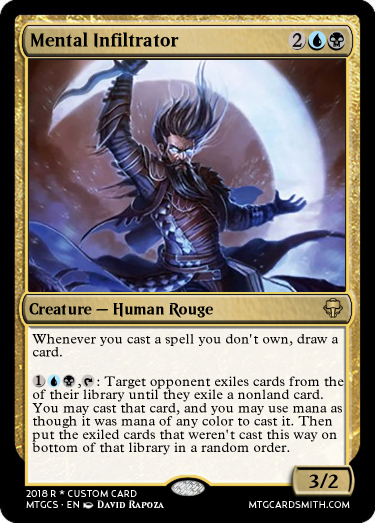 This may vary depending on the deck, but I just remember the overpowered Leovold from the past. If I get enough feedback supporting your request though, I'll probably accept it anyways. Mostly because I feel the community's choice is more important than ours in most circumstances. Here is some fun combat shenanigans for Thantis. 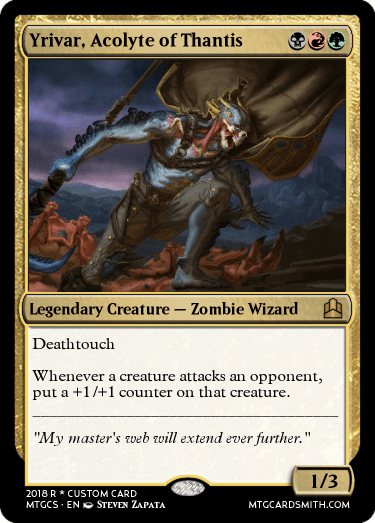 Thantis is one of my favorite commanders, and both of these are for a deck headed by her. Alright, this contest is closed for judging. I'll have the results in the next two days. Sorry for the wait!